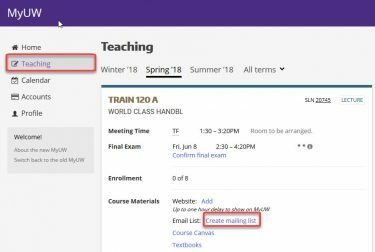 You can submit your request for a Mailman class list through MyUW. 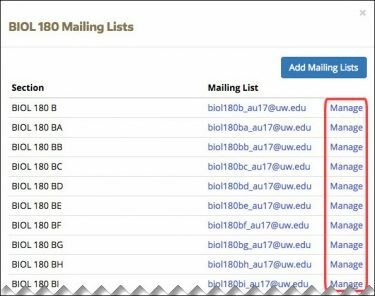 To create mailing lists, you must be listed as the instructor of record. 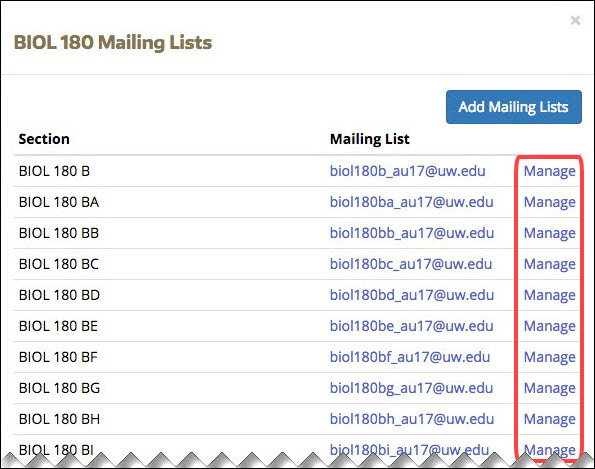 Note: MyUW now supports creation of mailman lists for most joint courses. To request lists for joint secondary sections, complete this brief form. Go to my.uw.edu. If you have not already, log in. In the left column, click the Teaching tab, and locate the correct quarter and course. Optional. If you are teaching a class that has only one section, to create your class list, click Submit. Optional. To create a single list for a course that has multiple secondary sections, the instructor of record for the primary section may click Submit. The primary instructor may request a list for each section by clicking Request multiple email lists. 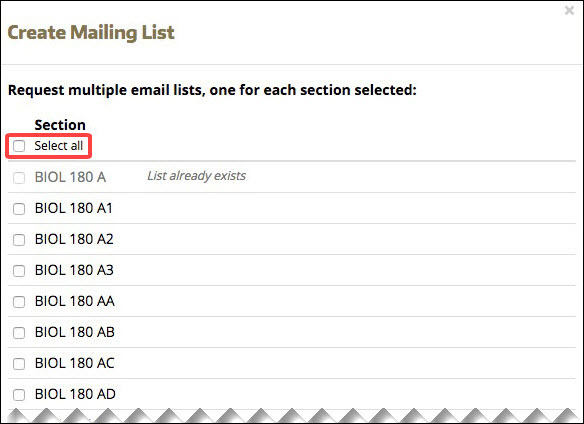 On the next screen, the primary instructor may select the sections to create individual mailing lists. To create lists for each section, select the Select all checkbox. Section instructors may also create mailing lists for their section. Once the lists have been created, primary instructors can see the lists in MyUW and manage them. Section instructors can see and manage lists only for the sections they teach. Optional. If you are teaching a joint course, you may create a class list with either the students from your unit or all the students in the course. To learn more, see also the class list FAQs.